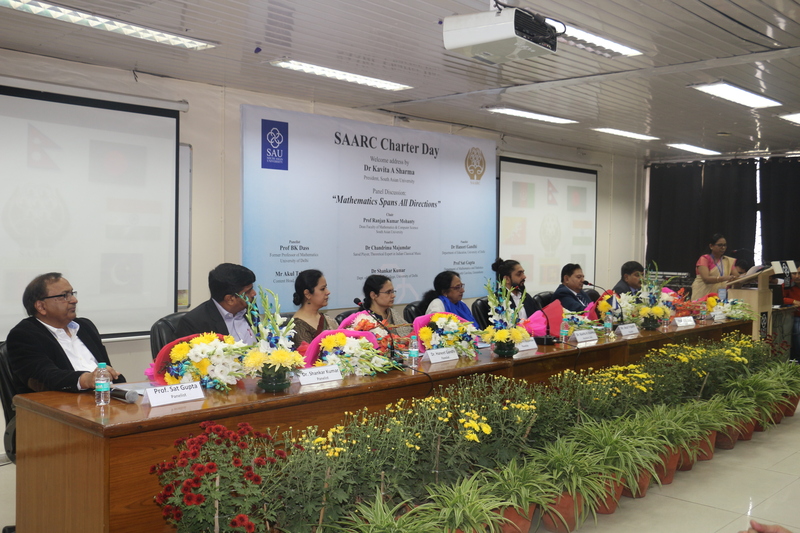 New Delhi: The commemoration of the 34th SAARC Charter Day was held at the South Asian University in its Akbar Bhawan Campus in Chanakyapuri, New Delhi. The university has been observing this occasion that marks the day when the regional body came into being after the member states signed the charter in 1985. The theme for this year’s celebration was “Mathematics Spans in All Directions”. In her welcome address, Dr. Kavita Sharma, President – South Asian University spoke about the background of the event and how South Asian University has been a living example of cooperation. 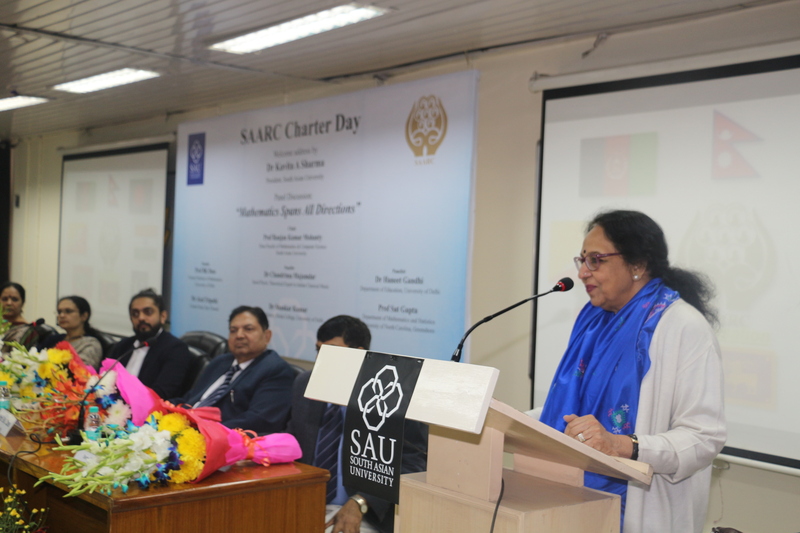 The University has been continuing its efforts to engage in more International Collaborations and also with at least one institution of higher learning in each SAARC country, as is evident from the MoUs with 17 Universities/Institutes till now including some from beyond the SAARC region, she informed. Dr. Sharma also updated the audience about the construction of the permanent campus of the university which is going on at a brisk pace in Maidan Garhi, New Delhi and how by early 2018 the first phase of construction is expected to be completed. A panel discussion on the topic “Mathematics Spans All Directions” that followed saw the participation of professors of mathematics and statistics, historian, musician and content head of an entertainment channel which includes Prof. BK Dass, Prof. Sat Gupta, Dr. Haneet Gandhi, Dr. Shankar Kumar, Dr. Chandrima Majumdar and Mr. Akul Tripathi. The panellists spoke on various aspects that includes – mathematics in everyday life, connecting culture with classical knowledge of mathematics, mathematics in ancient Indian history, music, religion and medicine, mathematics inspiring other branches of science and vice versa, mathematics in the court of law. The panel discussion was chaired by Prof. Ranjan Kumar Mohanty, Dean, Faculty of Mathematics and Computer Science, SAU. Mr. Amjad Hussain Sial, Secretary-General of SAARC, had also extended his warmest felicitations to the peoples and Governments of Afghanistan, Bangladesh, Bhutan, India, the Maldives, Nepal, Pakistan and Sri Lanka, on the occasion.